„Our 2018 results demonstrate significant progress against our multi-year transformation toward becoming an even stronger brand and more operationally excellent company,“ said CEO Kevin Plank in a press release. 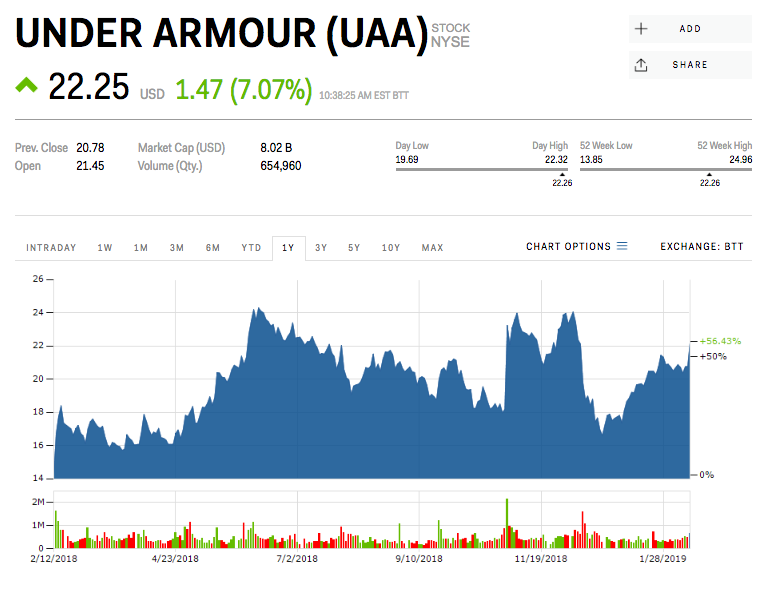 „Under Armour has made laudable progress over the past year, though several brand issues remain as execution risk in fulfilling the company’s long-term targets is high against a relatively rich valuation,“ said Berstein analyst Christopher Svezia in a note distributed on Tuesday. Svezia has a „neutral“ rating and $20 price target for Under Armour, which is near where shares are trading on Tuesday.